This was the post I was going to bring to you last week, but then I got really sick and haven’t been anywhere near my computer since the last post. So if you need a pumpkin puree recipe for the pumpkin cupcakes, you’ll find the follow up to that here. While I making mountains of pumpkin puree and throwing them in desserts for the first time ever, I knew I couldn’t escape the pumpkin fest without baking pumpkin pie. This seemingly staple American dessert is practically non-existent here. Any time I’ve told an American friend I’ve never eaten pumpkin pie, I’ve received a reaction more akin to what I’d expect if I’d just confessed to being a centaur. Cam tried one on holiday in Canada some 8 years ago, loved it, and occasionally asks me to make one for him. I suppose it was about time I finally jumped in to see what all the fuss was about. Since virtually every recipe wanted me to use canned pumpkin, and since that’s not a thing here, I got to making my own puree. I used butternut pumpkin, because it’s my favourite. I actually used to hate pumpkin completely. 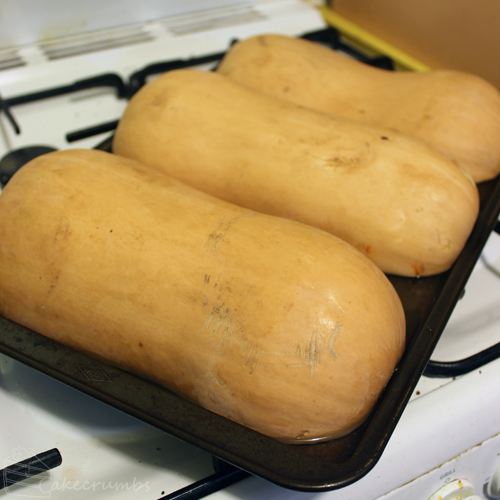 It wasn’t until I started making pumpkin soup with butternut pumpkin that I gradually acquired a taste for it. I’m still working my way to liking all kinds of pumpkin, but for now butternut is where it’s at. I went a bit nuts making puree. You don’t need this much pumpkin for the pie. One half would be plenty for this recipe. But I was experimenting and wanted heaps to play with and freeze for future use. All you need to do is place the pumpkin skin-side-up on a baking tray with about a cup of water. Then you bake it until it’s squishy. It took an hour for these. Scoop all the pumpkin goodness out of the skin and blend it until smooth. If you’re not fussy this is probably enough, but I pushed it through a very fine mesh sieve to got out any remaining lumps. I’ve no idea what canned pumpkin looks like, so I guess you guys can tell me how far off this is. But I had a delicious puree that we had trouble not eating as is so I figured this was a good start. For the pie I reserved two cups of the puree and set it inside paper toweling to drain the excess moisture. You wanna do this for at least 15 minutes. 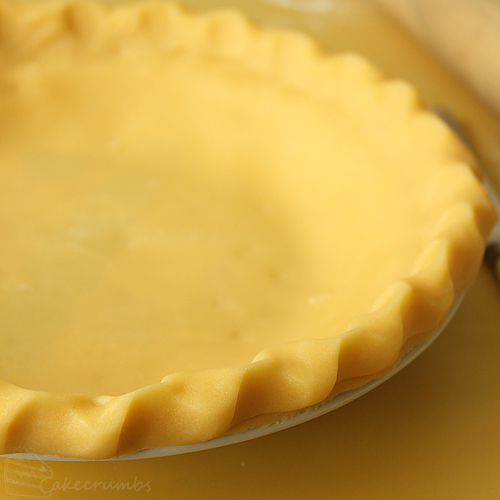 The more liquid you drain, the more set the custard in your pie will be. If you want it super set you can leave it over night. For the pastry I chose shortcrust because it’s one of my favourite, but also because it’s effortless. All you do is pulse the butter, flour and sugar until it just comes together, throw in an egg yolk and pulse again until it’s all combined. Too easy. It needs to rest for a while, then you can layer your pie dish with it. You can use a tart casing if you prefer. I went with the pie dish for no special reason: It was the first thing I saw when I opened my cupboard. You can leave it as is after you cut away the excess, but if you’re a total crust lover like me you can use the excess to make a thick crust. I worked it into a large snake, put it around the edge then pinched it to make it a little decorative. You could use the tines of a fork to achieve a different look. While that bakes you can get started on the custard. It’s as simple as beating some eggs with that delicious combination of spices until it get pale and thick. Fold in the pumpkin and some cream and it’s ready to be poured into the pastry casing and baked. 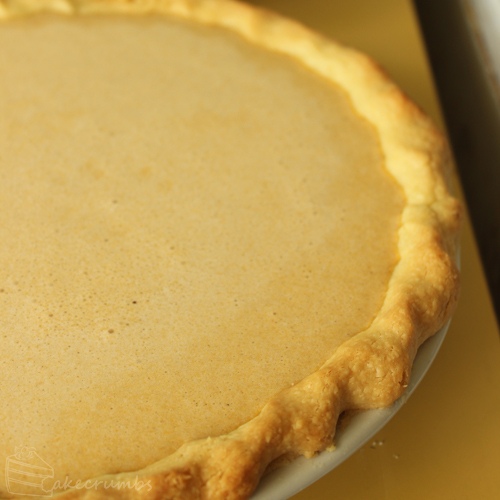 The pie will puff up during baking, just like a crack pie does, but as it cools it will shrink down and set. Once it gets to about room temperature it’s set enough to cut open. I served it with whipped cream and maple syrup. I had no idea what to expect when I first set about the task of making this pie. All the years of hype around it never clued me in to what it was supposed to taste like. The hype probably has my expectations soaring unrealistically high, as well. It certainly won’t top my list of all time favourite desserts, but it was lovely. Really light and refreshing. Cam loved it miles more than I did and could hardly stop himself from going back for seconds. 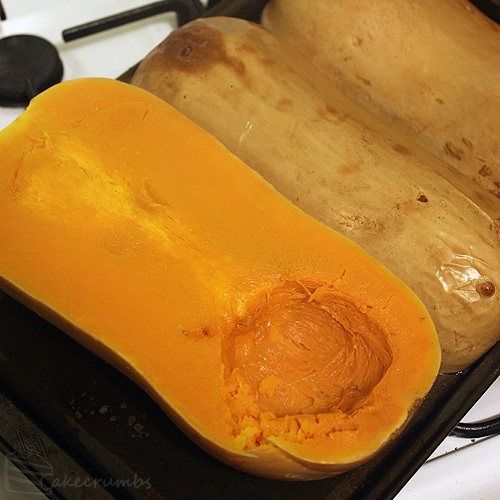 Place the pumpkin skin side up on a roasting tray. Pour a cup of water onto the tray. Bake the pumpkin at 180°C (160°C fan-forced/355°F) for about an hour, or until a spoon easily pierces the flesh of the pumpkin. 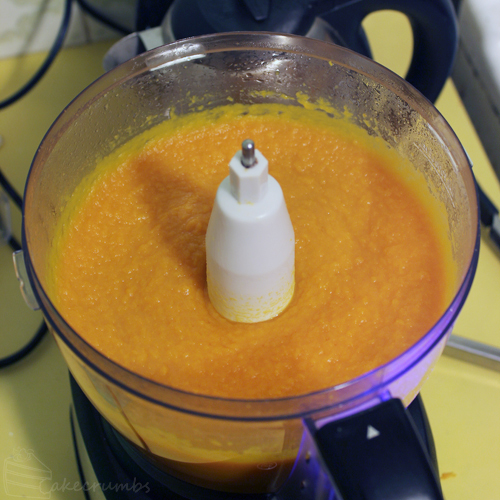 Scoop the pumpkin flesh out of the skin and blend in a food processor until smooth. 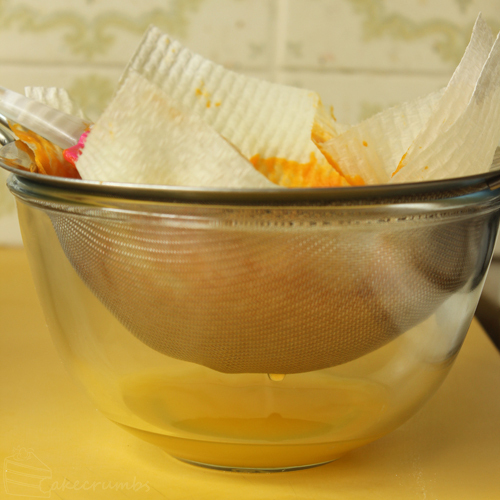 Pass the puree through a fine mesh sieve (or a potato drum/potato ricer, if you have one) to remove any lumps. Reserve 500g (2 cups) of the puree for the pie. 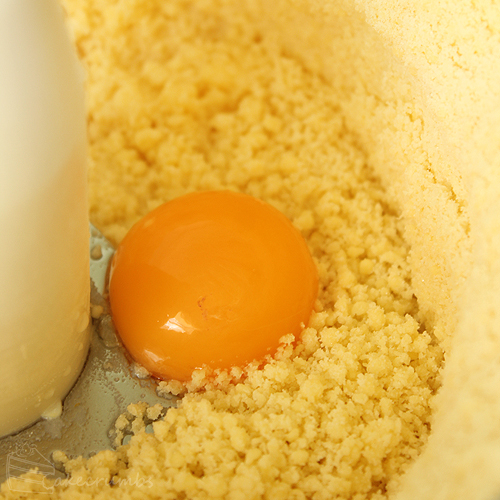 Place flour, sugar and butter in a food processor; gradually pulse until mixture resembles fine breadcrumbs. Add egg yolk and 1tbsp of the water. Pulse until liquid is just combined. Test the dough by pressing a portion between your fingertips; if it adheres to itself it’s ready. If it’s dry, pulse in some more water a few drops at a time until dough is moist enough. I ended up using one and a half tablespoons. 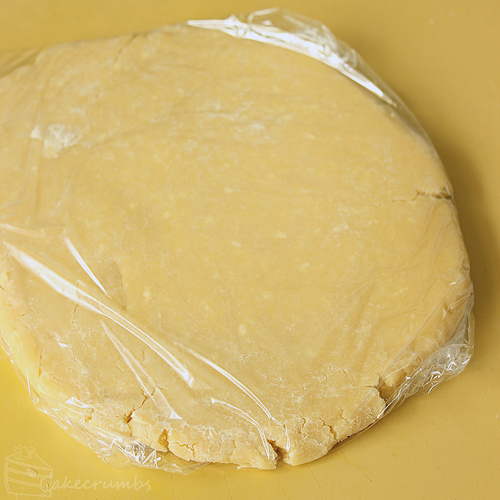 Form dough into a flat disc, wrap with plastic wrap and chill in the fridge for 20 minutes. Meanwhile, grease a pie dish or tart pan. Gently roll the dough out until 5mm thick, taking care not to overwork the dough. Ease the dough into the dish. Trim away excess pastry. 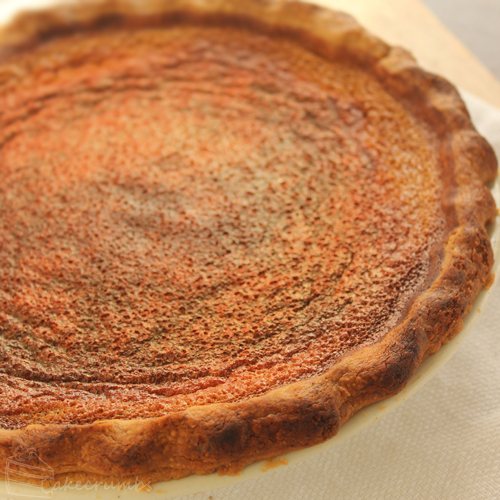 If you desire, use the excess to create a thick crust, then refrigerate for a further 20 minutes. Preheat oven to 180°C (160°C fan-forced/355°F). 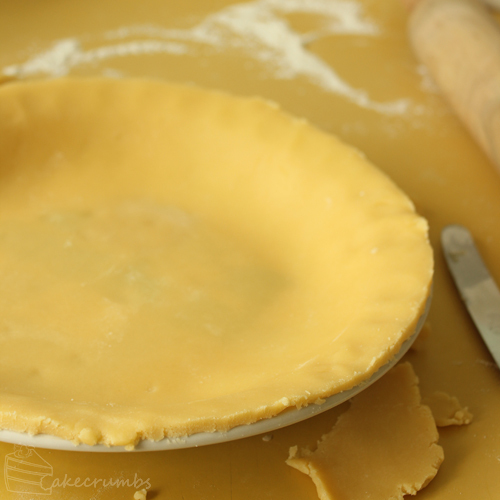 Line pastry with baking paper and fill with pie weights or raw rice. Bake for 15 minutes; remove paper and weights and bake for a further 12 minutes. Allow to cool. Increase oven temperature to 200°C (180°C fan-forced/390°F). In a medium bowl, beat the eggs, sugar, maple syrup and spices until mixture is thick and pale (about 3-5 minutes). Beat in cream and pumpkin puree. 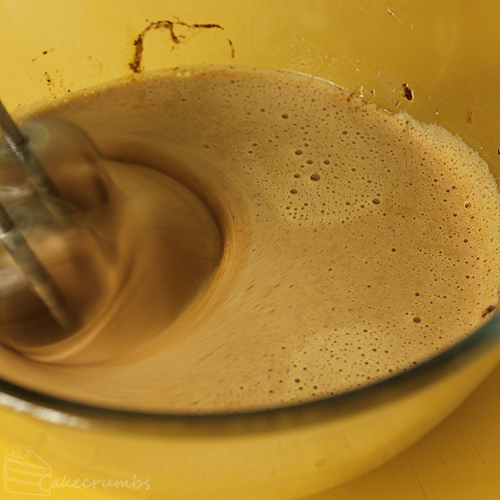 Pour mixture into the pastry casing and bake for 15 minutes. Decrease temperature to 180°C (160°C fan-forced/355°F). Cover pie with foil if over-browning. Bake for a further 50-60 minutes, or until center is set (it should have a slight wobble). Allow to cool to room temperate, then serve with whipped cream and a drizzle of maple syrup. My family enjoyed it too! Was great to have this after all those years. I’ll try to get you to make this again in the future, but very grateful you made it this time. So looking forward to try it. Have you tried with beating the egg whites separately? I might do both and see the difference. Also, I wanted to know how you froze your pumkin and butternut squash. Do you freeze it once pureed? Thank you. I love your posts. Not for a pumpkin pie, but I have for other custard-based pies. It usually seems to make it a bit lighter and fluffier. And yep, once it was pureed I separated it into containers and put half in the fridge and half in the freezer. I’m from Canada and I’ve never thought about using a butternut squash to make a pie. Huh. 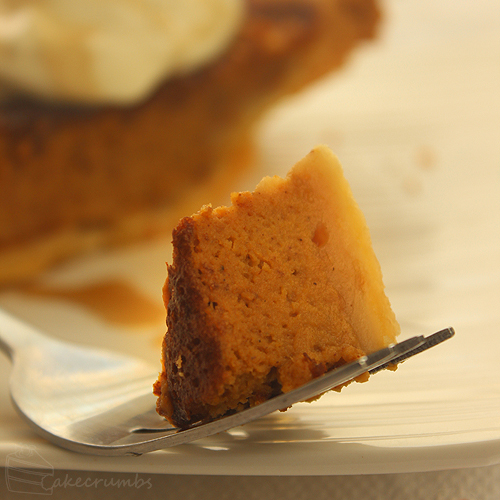 I wonder how different or similar it would taste to a Canadian pumpkin pie… I might suddenly have a need to try this. I don’t know about Canada but I’ve been told via my dA that American canned pumpkin is mostly made from butternut pumpkin/squash, so perhaps it’s not too different. Not to get into technical semantics but… Here in the US that’s known as a butternut squash ( I know, squash are pumpkins and pumpkins are squash). US pumpkin pie is traditionally made with jack o’ lantern-type pumpkins, which are less watery and have a stronger flavor, but I dunno if you guys are able to get your hands on those. Anyway, that might explain your disappointment with the end flavor. 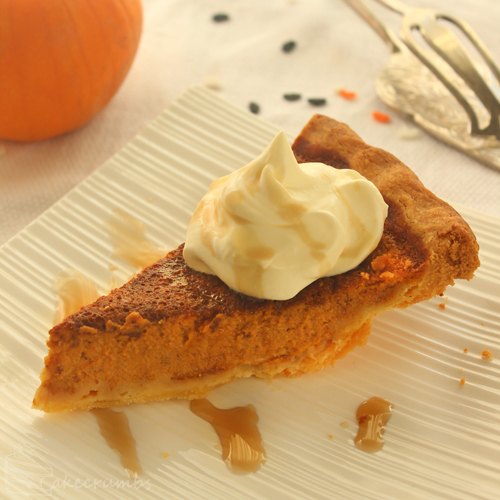 A similar alternative you might try is sweet potato pie, which is the same exact pie except using pureed sweet potatoes. You might like that better than squash versions. Over here we call them all pumpkins. The only thing we call a squash is that little yellow vegetable that kinda looks like a squashed zucchini. I think I’m just not a pumpkin pie sorta gal. It happens a lot that my partner and I differ on what desserts we find amazing. He’s all about the custards and custard-based pies and thinks they’re godly, whereas I enjoy most of them but don’t really love them to death. 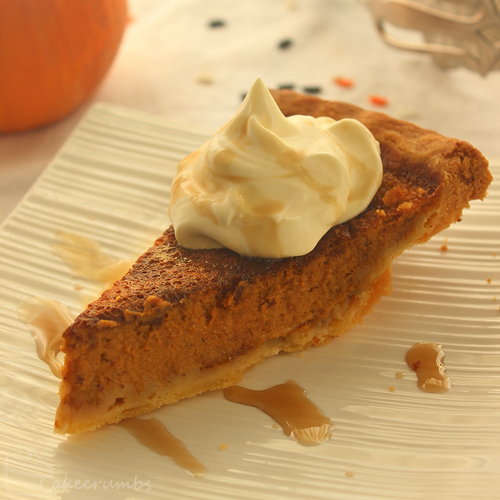 Count me in as another North American who’s never seen butternut squash used for pumpkin pie! Now I’m very curious to try it myself. I have a love/meh relationship with pumpkin pie. It always smells better than it tastes to me. From the smell, I’m expecting something full-flavoured, sweet, lots of spices…and what I always end up tasting is kinda bland. But I LOVE things that are flavoured with pumpkin and pumpkin spice, like pumpkin cookies, pumpkin coffee, pumpkin waffles….I’ve heard that sweet potato pie (a common substitute for pumpkin pie at Thanksgiving) has much more of the flavour I’m expecting (and I love any excuse to top something with gooey roasted marshmallows), so I’d like to give that one a try. I’m just never home/too busy during pumpkin/sweet potato pie season, and I hate trying to cook in someone else’s kitchen! I really found that, too. The smell was incredible, but when I ate it I was like, “Where are the spices?” I much preferred the pumpkin cupcakes. They delivered the flavour I was expecting. I’ll definitely have to try the sweet potato pie at some point! 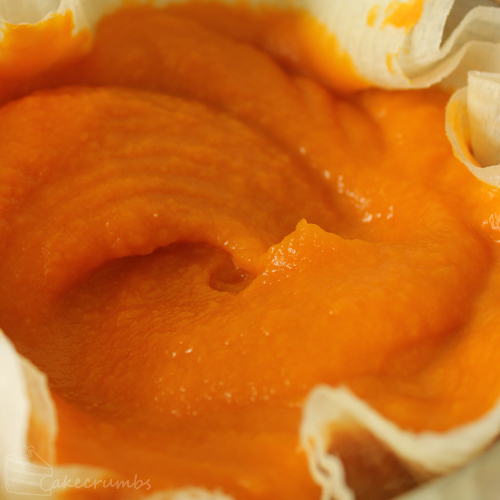 Pumpkin puree is usually made from sugar pumpkins http://bakingbites.com/2011/11/what-is-a-sugar-pumpkin/, which are not actually generally used for jack-o-lanterns, but are small, only about 6-8″ in diameter. Kabocha squash (japanese pumpkin) http://en.wikipedia.org/wiki/Kabocha is a fairly common substitute in the States though, among people who make their own puree and might be easier for you to find. I’ve heard from a couple of people that butternut pumpkin/squash is usually used for canned pumpkin — it does seem to depend on the brand though. The various squashes can be used almost inter-changeably; in fact, what is sold as canned pumpkin is usually Blue Hubbard Squash. But for the American readers, if you ever run across an old-time variety of squash called “North Georgia Candy Roaster,” grab it. I adore pumpkin pie, but Candy Roasters beat pumpkin all hollow. They don’t look like pumpkins, they’re long and skinny, and are sort of pinkish when they are ripe, but you use it just like pumpkin for pumpkin pie and about anything else – halve the squash, bake it and scoop out the innards to use – and is it ever good! It’s sweeter than pumpkin, and your baked goods come out lighter, less dense, and not as wet and heavy. If you garden, you can find seed on sites like Local Harvest, Southern Exposure Seed Exchange and other Heritage seed sites. It does best from Virginia south, is pretty easy to grow, and so worth it. That’s great! Thanks for the added info.